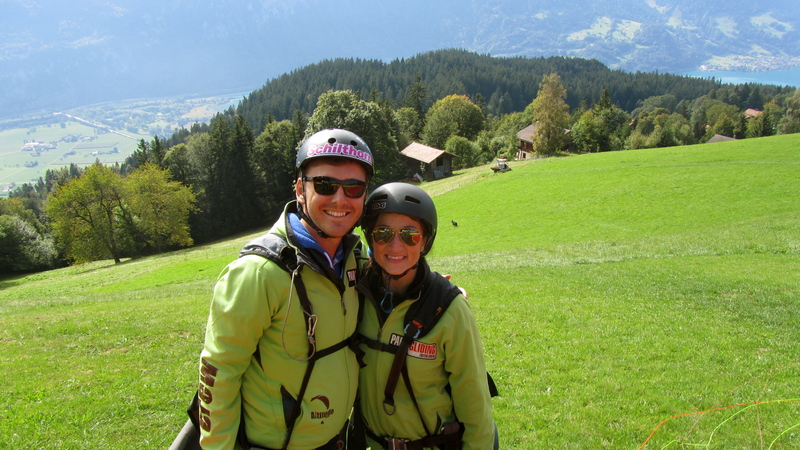 When in Interlaken, do as everybody else does… throw yourself off a cliff. It’s actually not that intense, but leading up to it you don’t know what to expect. 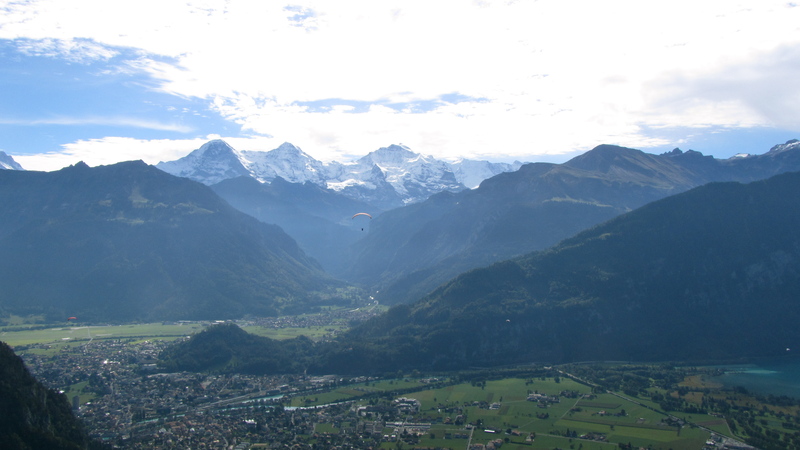 We agreed that paragliding was a “must do” in Switzerland, especially Interlaken, the mecca of extreme outdoor sports. 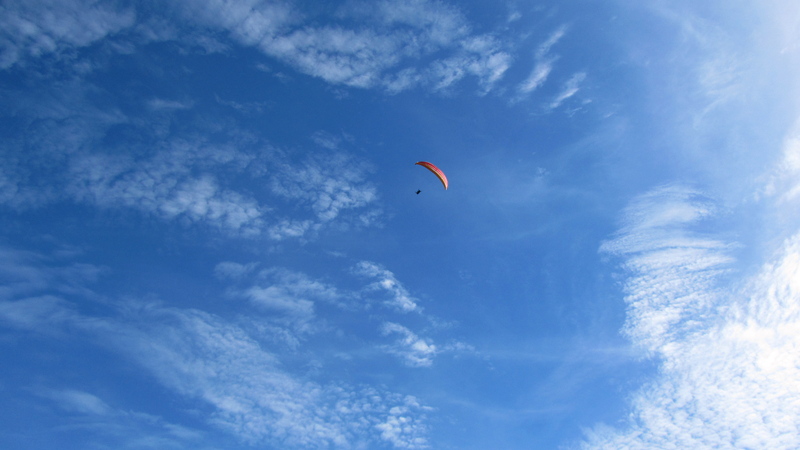 Since Jaro has already gone sky diving and I’m not quite there yet, we found this to be a happy medium. 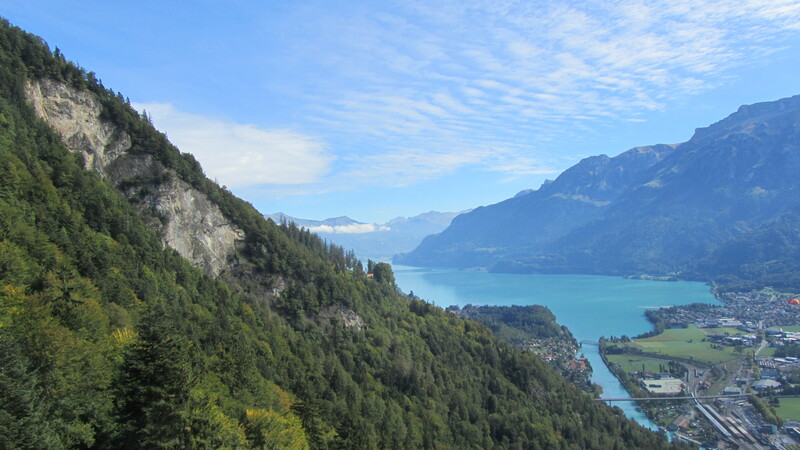 The day we arrived in Interlaken, weather was crummy and visibility was poor. No jumps that day. 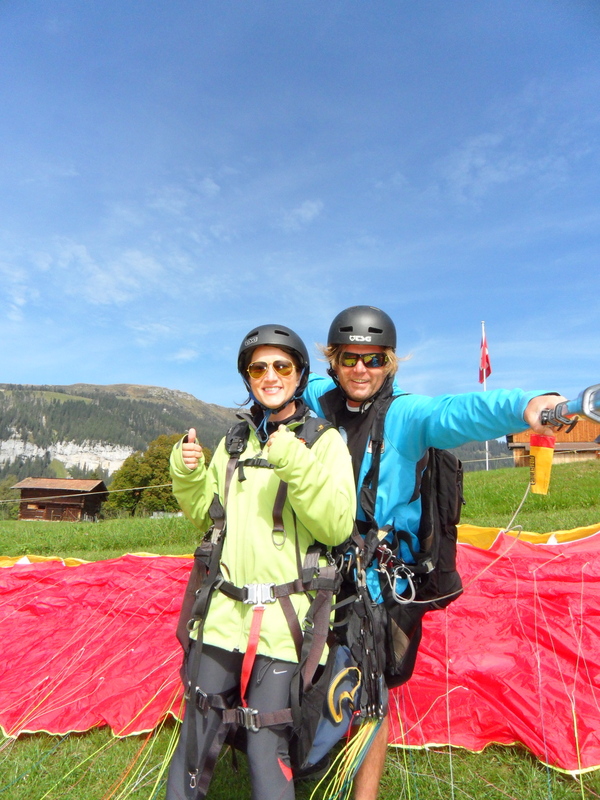 The next day was bright and sunny, so we called, got a morning jump at 10:45 and were pumped to go. Having struggled with jumping off rocks in Capri (seriously, I was such a wuss about 10 foot jumps), I surprised myself with how calm and ready to go I felt. 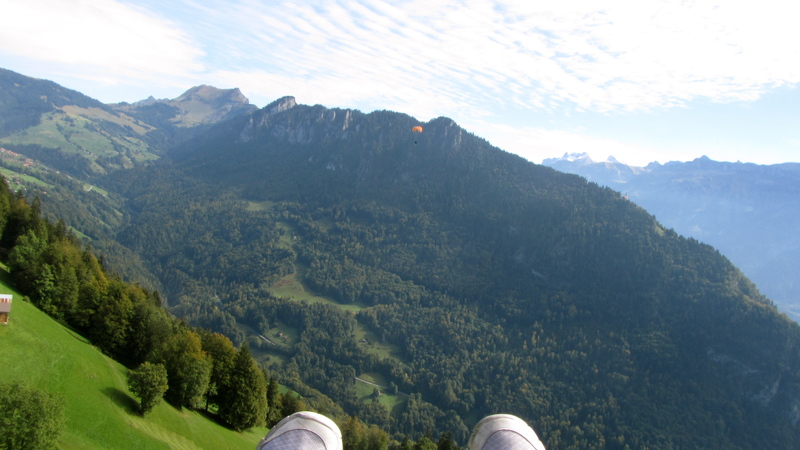 So we arrived at the meeting point, all hopped in the van and started the drive up the mountain side to our jump site. 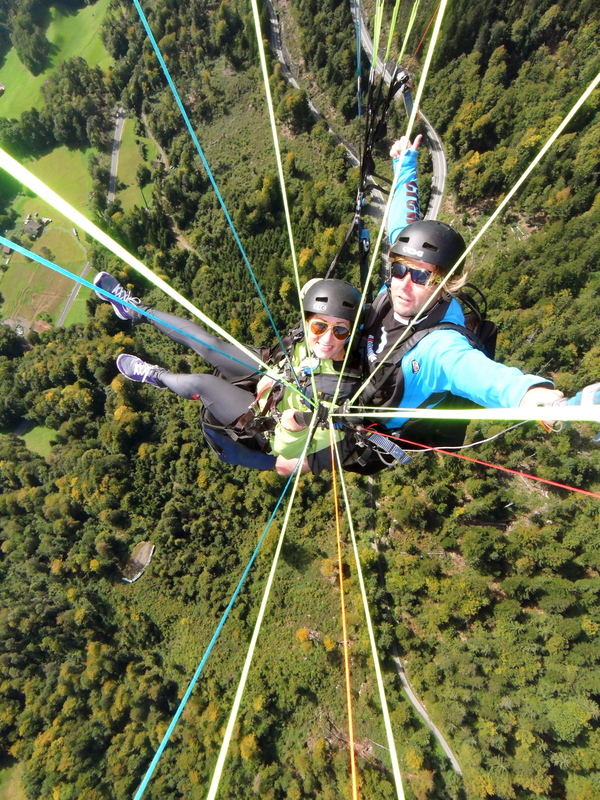 As we rode up (there were 6 of us doing the jump), everything was explained and I felt good about it. Then, one pair at a time(everyone goes tandem, duh), start running down this hill you can see behind us and as soon as the hill drops off, they started floating away! It was really quite surreal to watch, it looked so easy. Jaro was in line before me so I watched as he ran, “jumped”, and glided away. I couldn’t wait for my turn! So we countdown and start running. Suddenly, my pilot yells “Stop, STOP!” I was like, WTF is going on here. So we stop running before the parachute fully deploys. Turns out our parachute was completely tangled and it took a solid 15 minutes for him and the other pilot still there to fix it. WHY ME. Seriously. The whole time they were working on it, I thought that maybe I wasn’t meant for extreme sports. Of course, they kept saying, “we’ll get it right, we love our lives too, you know.” And it hit me that I was literally putting my life into their somewhat incompetent hands. But, rather than be a wimp and demand to be driven back down, I decided to trust them, wait, and soon enough we were ready to go. So let’s try this again. I survived. 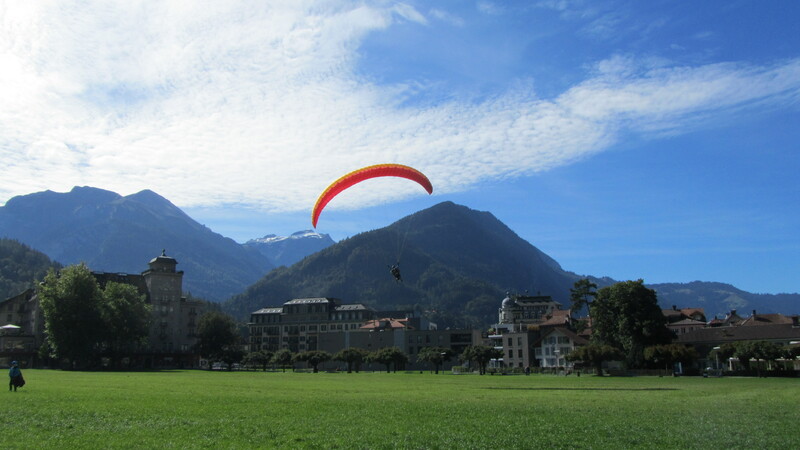 They should make shirts that say “I survived paragliding in Interlaken.” No apologies, however, for the initial scare that had me questioning the whole thing. I’m still annoyed by that. 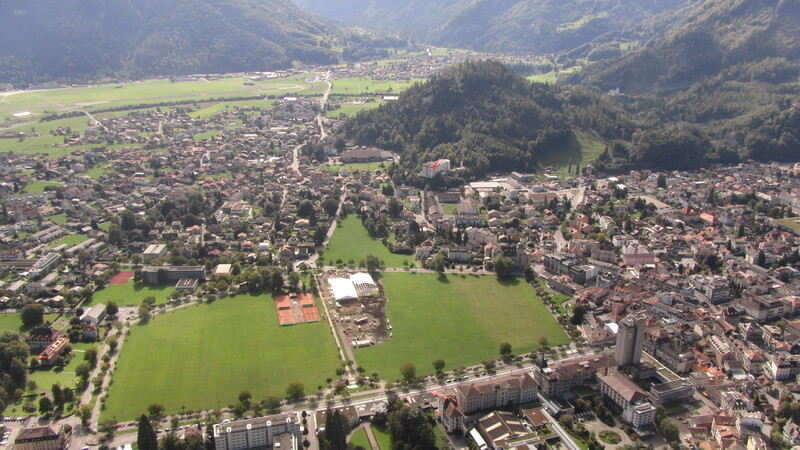 Yet another reason why I sort of hate Switzerland. 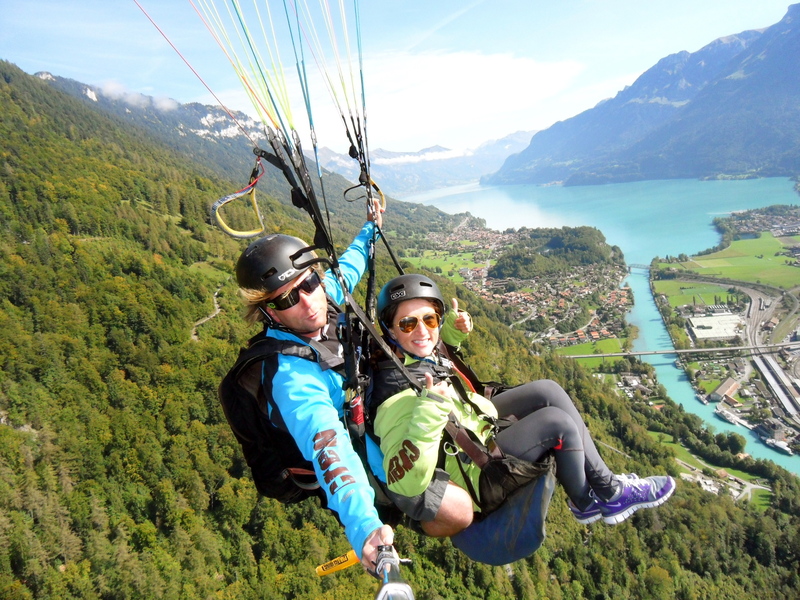 This entry was posted in Travel and tagged Europe, Extreme Sports, Interlaken, Paragliding, Switzerland, Travel, Travel Photography by Julie. Bookmark the permalink. Love it! 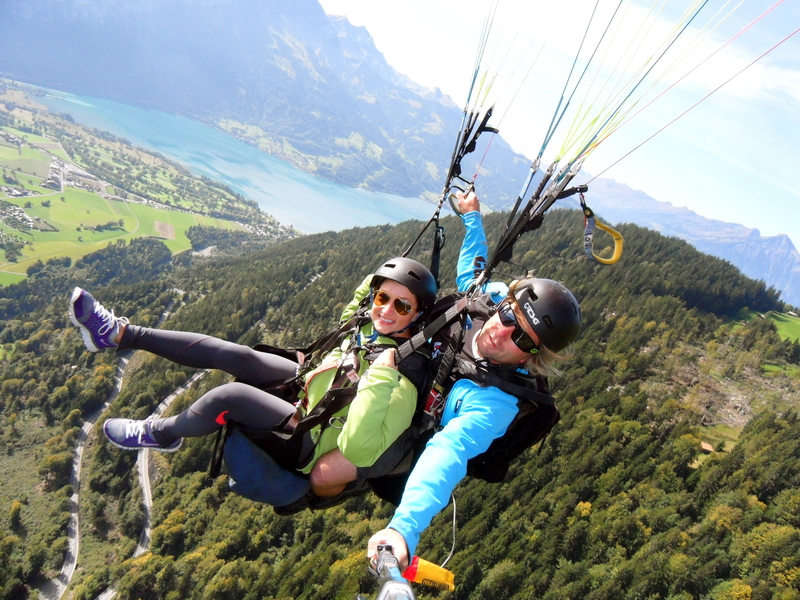 Thanks for the suggestion… I’m still a scared-y cat about real sky diving. Those photos are priceless – so beautiful!